It’s that special time of the year for vinyl lovers everywhere. Record Store Day is Saturday, April 13. This magical day offers tons of limited-edition LPs and a slew of massive events at your favorite independently-owned record stores. This tradition started in 2008 and has been going strong for the past 11 years with no signs of stopping. 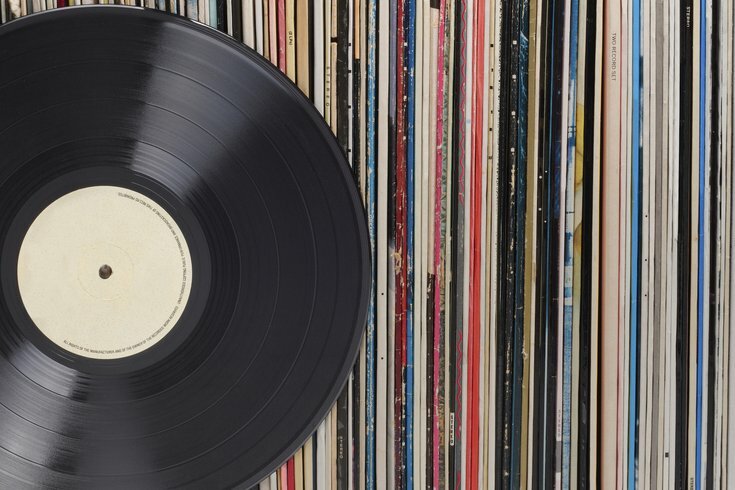 To make sure you put your digging skills to good use on Saturday, we compiled a list of the best records stores to check out in Philly and the suburbs. Since 1998 Repo Records has been a staple on the South St. record store scene. The first 30 people in line will receive a free mini poster for Repo’s Record Store Day event. The event will feature performances by Florry, Vixen77, and Kahlil Ali. The store opens at 9 a.m. Sit & Spin will feature titles such as Danzig, Minor Threat, Agnostic Front, and a number of jazz albums from John Coltrane to Miles Davis. Weather permitting there will also be a pop up shop of used t-shirts from The Merch Cellar. They will be open at 12- 7 p.m. tomorrow. While you're in Fishtown, you can also check out staples Philadelphia Record Exchange on 1524 Frankford Ave., and Wild Mutation Records, 2223 Frankford Ave. The shop opens bright and early at 8 a.m. on Saturday and closes at 9 p.m. Not only do they have every Record Store Day release, the shop promises also to have special surprises for the day of the event. The store will open at its normal time of 11 a.m. to 10 p.m. and offer discounts of up to 25 percent. There will also be three “golden tickets” hidden with the store. If you find the tickets and make a purchase of $25 or more you can receive a $100, $50, or $25 gift certificate. Open from 9 a.m. to 9 p.m., the store will have an assortment of Record Store Day exclusive titles. There will be live music from 1 p.m. to 5 p.m. There will also be a promotion for those who can’t get enough of Record Store Day vinyl. If you spend $50+ will get you $5 in Main Street Music Bucks, $100+ will get you $15, and $150+ will be good for $25. There will also be free beer samples from Fat Head’s Brewery. Opening promptly at 10 a.m., the store posted to its Instagram stories that they will have 90 percent of Record Store day releases. Dotties Donuts is partnering with the record store to create a Vegan Vinyl donut. Shoppers will receive a 15 percent coupon which is valid from April 15 to April 26. Opening at 8 a.m. this shop recommends getting in extra early. There will be free Philly soft pretzels and giveaways throughout the day. If you mention their Facebook post, you can receive 10 percent off any vintage vinyl. Opening at 10 a.m., there will be 20 percent off used vinyl, 10 percent off new vinyl, The first in line will get $50 gift card. There will also be a DJ at the event as well as free breakfast. They also have a large collection of titles that cannot be beat, including a rare past over of The Beatles “Yesterday and Today” album.